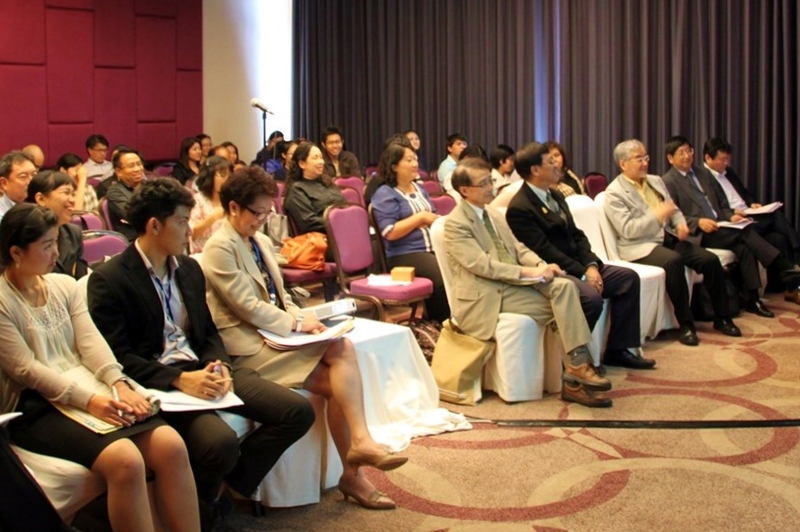 On August 8 2014, JSPS Bangkok Office organized “JSPS-NRCT Seminar” as part of the Thailand Research Expo 2014, sponsored by National Research Council of Thailand (NRCT). The Expo is an annual academic event, where both domestic and international researchers hold scientific seminars for the public. 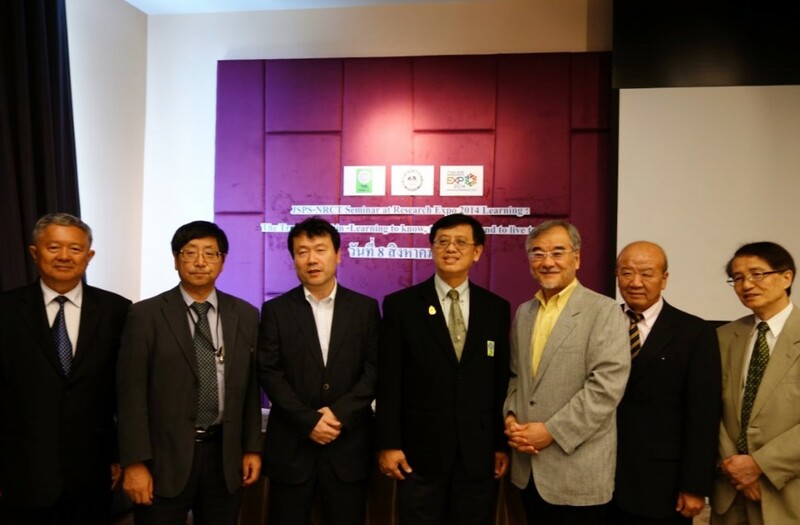 JSPS Bangkok Office has jointly hosted seminars with NRCT and invited Japanese researchers since its inception in 2009. 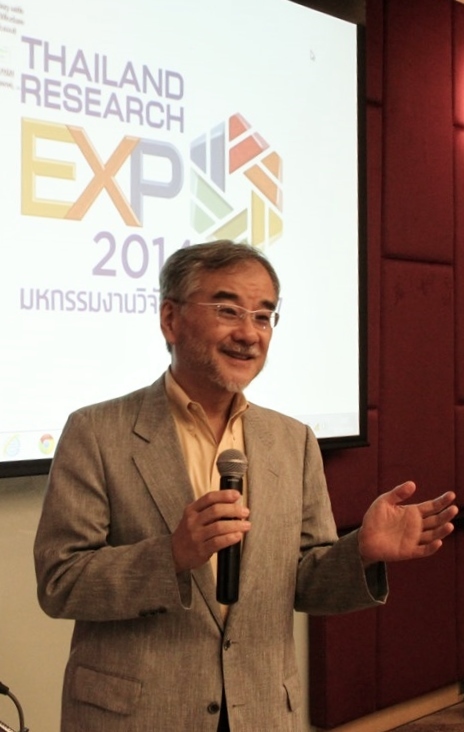 This year, along with the main theme of the Expo 2014, “Research for quality of life, sustainable economy and society,” the office set the theme as “Learning: The Treasure within-Learning to know, to do, to be and to live together” and invited three speakers from Japan and one moderator from Thammasat University in Thailand. Mr. Kristhawat Nopnakeepong, Deputy Secretary-General, NRCT, opened the seminar followed by the greeting by Mr. Hisashi Kato, Director of JSPS international division. 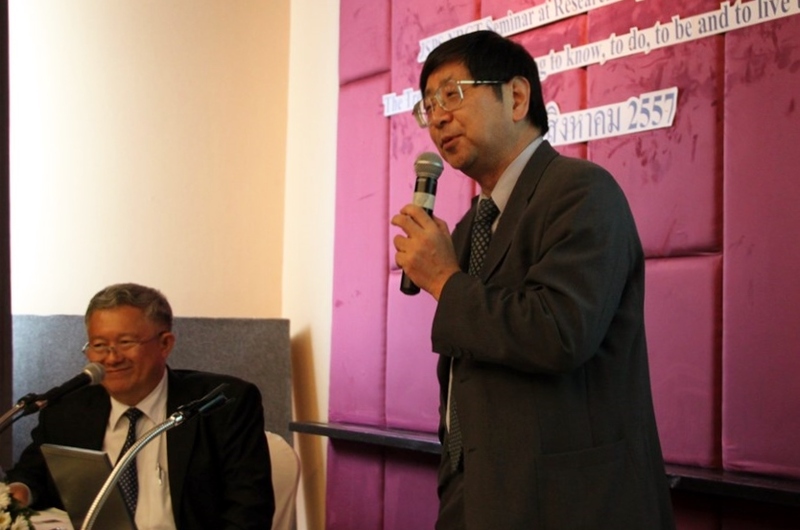 Prof. Homma’s speech focused on what the “leaning” is and the value of life-long leaning. He encouraged participants to interview the person next to them about “what did you learn recently,” or “what is the most precious thing that you learned in your life.” Some of the participants are asked to share their conversation to everyone in the floor. Participants enjoyed his presentation and learned “what the learning is” through pair workings. Mr. Oikawa introduced the long history of school education based on the concept of “Education for Sustainable Development (ESD)” in Kesennuma city, Miyagi prefecture, which was greatly damaged by the Great East Japan Earthquake in 2011. He stressed that this particular education has helped the community to recover from the disaster. After the earthquake and tsunami, school children in Kesennuma city have been actively engaged in the reconstruction of the city through what they had learned from ESD. They also provided spiritual support to the community. Participants of the seminar were strongly impressed by the school children who have been contributing for the recovery of the community. 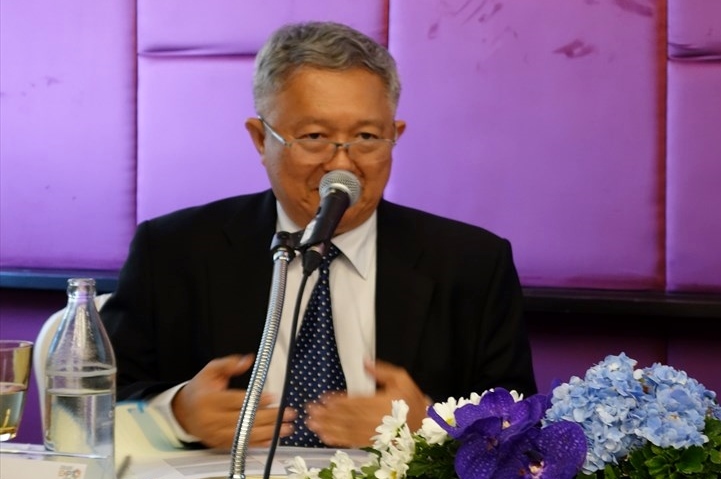 Prof. Suzuki started his presentation by asking, “Are you optimistic or pessimistic about the future?” Then, he showed the examples of natural disasters occurring all over the world and insisted the importance of learning “sustainability” in the modern society. In his presentation, the concept and background of “ESD” were introduced to the participants and discussed the definition of “sustainability” with them. 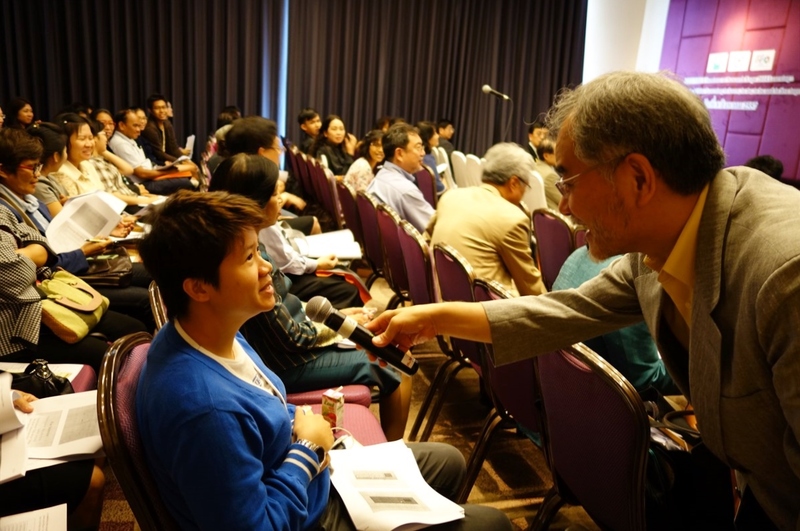 Participants actively ask questions to speakers. Asst. 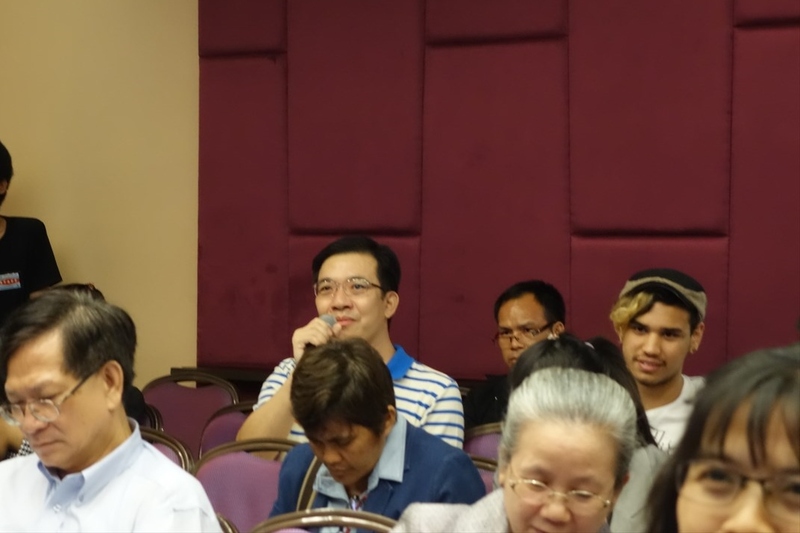 Prof. Jitti moderated the seminar with humor and summarized in Thai in order to facilitate participants’ understanding of the topic. 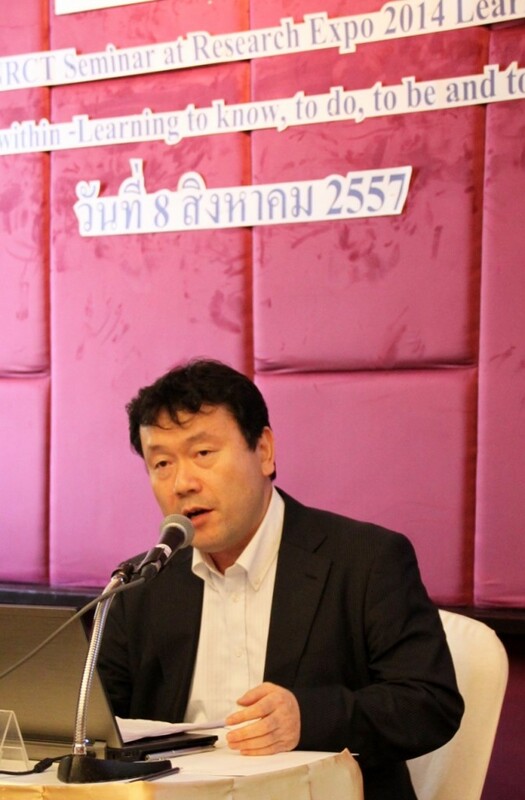 Lastly, Prof. Yamashita, Director of JSPS Bangkok Office closed the seminar. 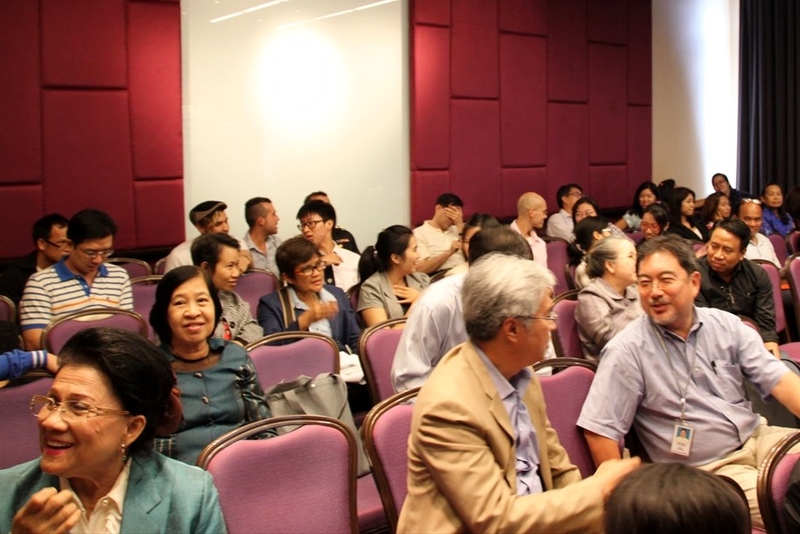 The seminar was attended by more than 100 people, including school teachers and students and raised their interest in variety of “learning” and “education” conducted in Japan.